The Museo Archeologico is hosted in the Castle of San Giorgio, the monument which best represents the historical vicissitudes of La Spezia. The lower floor of the castle houses exhibits pertaining to the life of the territory from the Pleistocene age up to Romanisation. The most important element here is the collection of statue stelae produced in the Copper Age and Iron Age. The upper floor contains the Roman remains coming from the area of Luni. 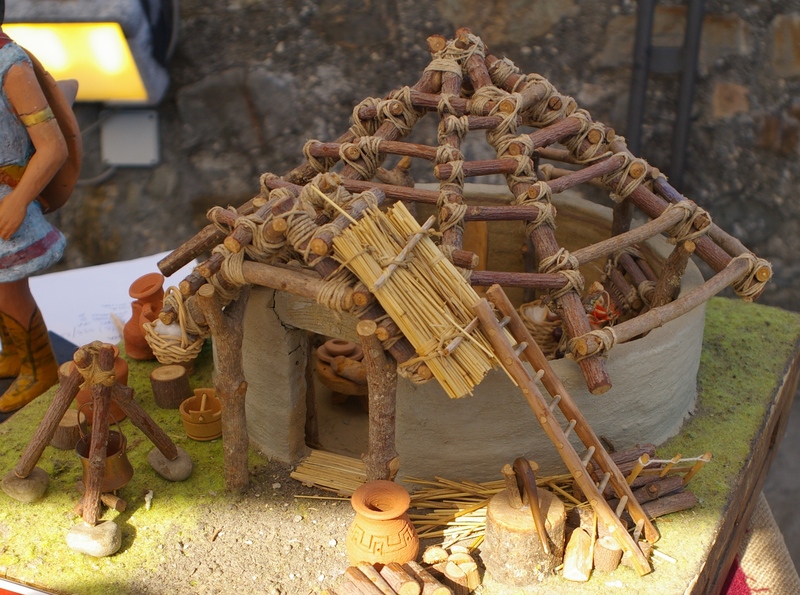 Since 2005, we organise the Paleofestival, a combination of education and experimental archaeology workshops. This helps us disseminating prehistory. Thanks to the participation of special technical operators, most of them graduated in archaeology, open-air museums and archaeological parks, Paleofestival offers activities increasingly diversified. Activities covered are for example stone chipping, the use of the atlatl, milling of cereals, meat slaughter, creation and firing pottery, weaving, rock painting, working horn, plants identification from seeds, use of primitive musical instruments, copper and bronze smelting. Donatella Alessi graduated in Classics Letters at the Pisa University in the Archaeological Science Area, thesis in Ancient Topography. Archaeological excavations in Italy (Toscana, Liguria e Marche). She has achieved the PhD in Museum Education at Ferrara University (C.A.R.I.D.). She deals of research, advice, education, setting up exhibitions, guided tours, tutoring in internships in museums, educational institutions and associations. Since 2000, plays the role of Keeper of the Civic Archaeological Museum Castle of San Giorgio. She deals of educational projects for schools of all levels, whit laboratory activities related to educational experimental archaeology. She also organizes scientific and educational events of archaeology.